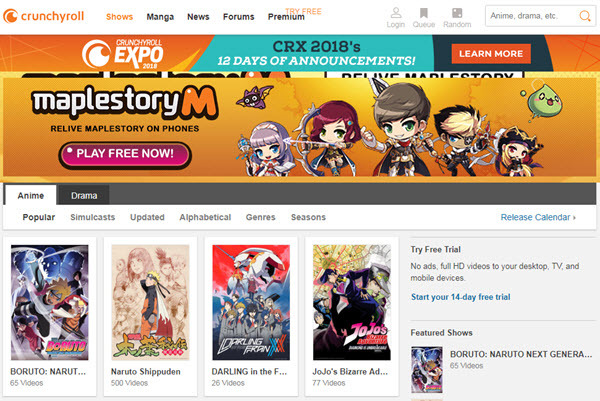 Crunchyroll is one of the most popular video sharing sites and a favorite online destination for all the anime lovers. It mostly contains videos on anime series and drama, etc., and like any other video sharing site, one has to spend a lot of bandwidth to be able to watch videos on the site, due to the frequent ads that you have to endure. If you want to download videos from Crunchyroll online for free, you will have no luck for many online video downloader does not support Crunchyroll or cut down the video quality. No worry! Here is the easiest way to download Crunchyroll videos on Mac or Windows PC, so that you can watch Crunchyroll anime series, drama, and other videos offline anytime. 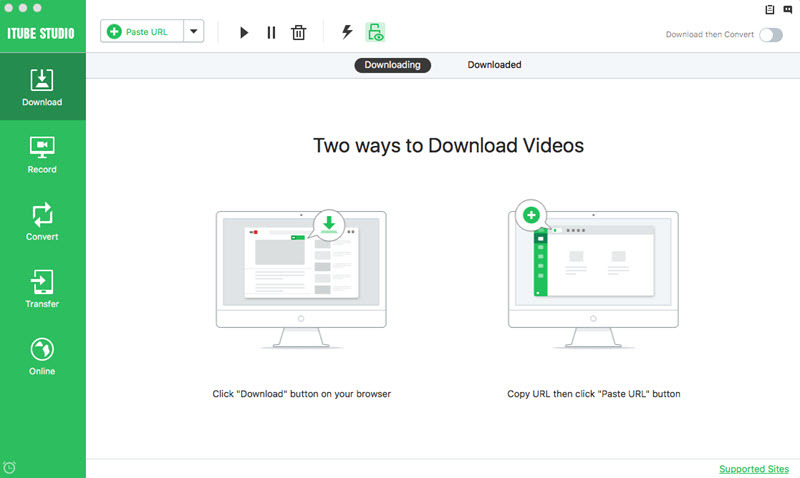 iTube Studio Video Downloader could be the best Crunchyroll video downloader for Mac (10.13 macOS High Sierra, Sierra included) and Windows. With iTube Studio, you can download any one of your favorite videos in only one click. It supports to save online videos from many popular video-sharing sites like YouTube, Facebook, Vimeo, Instagram, and more. 1 click download videos from Crunchyroll, Facebook, YouTube, Lynda, Vimeo, and 10,000+ sites. Easily record videos from Netflix, Hulu, CNN, BlockBuster, Hollywood Video, Metacafe, iTunes, etc. 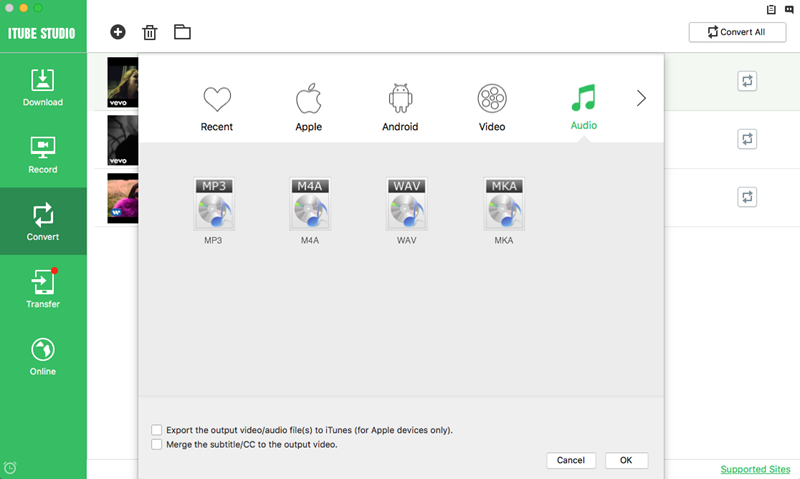 Convert the videos to many popular formats such as MP4, WMV, MOV, MP3, and mote. Allow optimized preset to fit iPhone, iPad, iPod, Samsung Galaxy so that you can enjoy them anywhere. 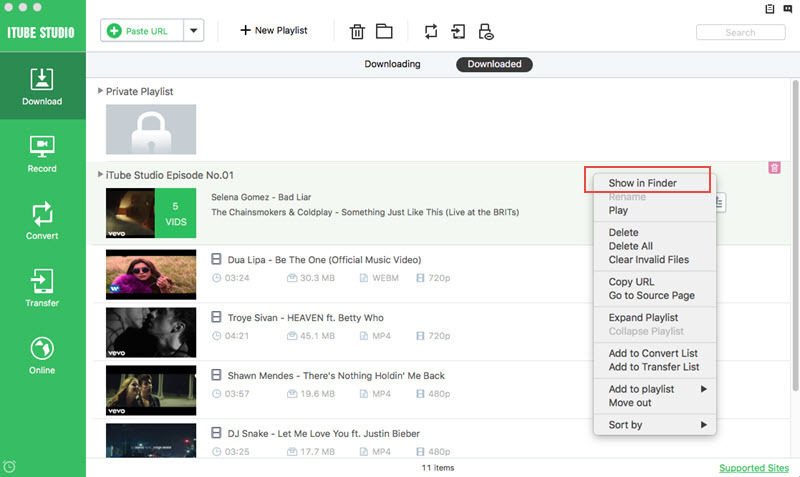 Supports batch download videos and enables you to schedule multiple video download. Inbuilt with a browser to navigate and download videos from sites like Crunchyroll directly. Private Mode to download videos to a password-protected video folder. Click above "Free Download" button to get the program. Then open the installation wizard and follow up the prompts to finish the installation. The following tutorial will show you the steps for downloading Crunchyroll anime. Windows users can also take the steps below. Using download button. Open your browser and go to crunchyroll.com to find the video you need. When you play the video, you will see a "Download" button appearing on the top left corner of the video. Just click the "Download" button to start capturing Crunchyroll video. Download videos on Crunchyroll using URL. Copy the video URL and navigate to the program then click the "Paste URL" button. Your video will be downloaded. 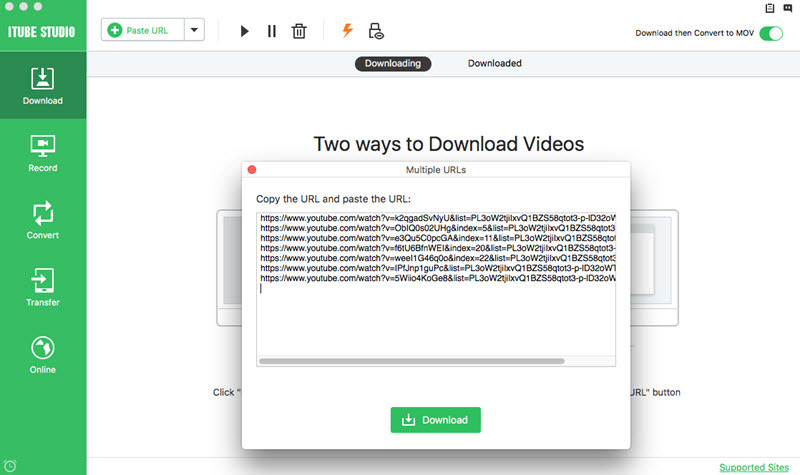 And you can directly drag and drop the video URL to the program for downloading. Download videos from Crunchyroll using Record feature. This video downloader can help you to record videos from Crunchyroll and other unable to download sites. 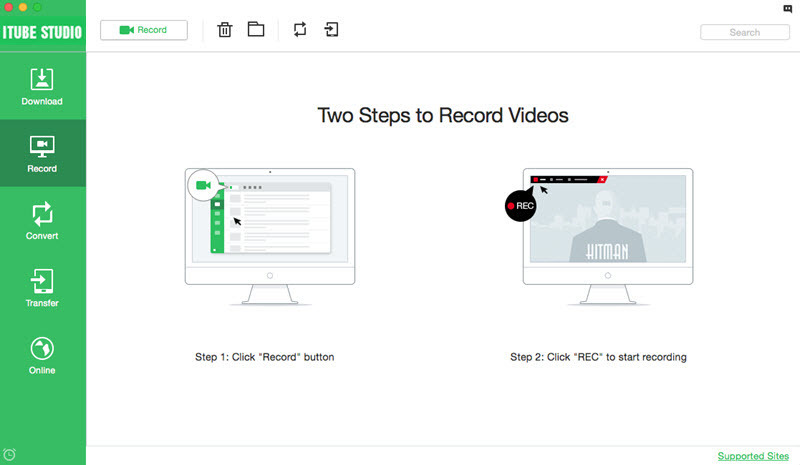 You can go to the "Record" menu and click the "Record" button to open the video recording window. And open the Crunchyroll video, and then click the "REC" to start recording the video. When you have saved all the videos you need, go to the "Downloaded" tab in the "Download" menu to view the video list. And you can convert the captured videos to any format you want. First click the "Add to Convert List" icon to add the videos to the convert menu. And go to the "Convert" menu to click the "Convert" button to open the window for output formats. You can click the Video tab to select an output format. Or you can also directly select a device name to set it as output according to your device model. Then you will get the converted file that works perfectly on your device. Although the name anime is derived from Japanese animation content, Crunchyroll has proved that the audience of these films is much wider than just the East Asian countries. The service which is barely 10 years old now boasts of having 20 million subscribers who are registered. 750,000 of these are registered users who pay an average of $5 - $12 monthly to watch ad-free paid content. The rest of the users are free to access all the other free content in the site’s library. Those who pay for the premium service at $12 enjoy other perks. These include discounts on the contents in the site’s store and chance to meet the creators of the anime content during fan conventions. Crunchyroll is undoubtedly the leader in anime streaming. 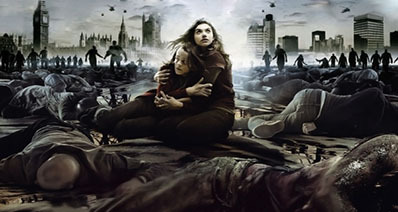 It offers 950 shows in the streaming of 25,000 episodes. Although some people complain that its interface is confusing, its success so far comes from offering content to dedicated fans. These are people who are willing to spend money to get what they love. Another way to download Crunchyroll videos is to use an online video download service. There are a lot of them out there, however, one that we find one of the best is Catch Video. It is simple to use and comes with no hassles of any kind. All that you have to do is to go to their site, paste the video link and hit Download.